The Centers for Disease Control and Prevention reported in 2014 that the number of opioid prescriptions outnumbered the number of people in 12 states. All 12 of these states voted for Donald Trump: Arkansas, Alabama, Indiana, Kentucky, Louisiana, Michigan, Mississippi, Ohio, Oklahoma, South Carolina, Tennessee and West Virginia. The question that persists six months after Mr. Trump’s inauguration is why six key states — Florida, Iowa, Michigan, Ohio, Pennsylvania and Wisconsin, along with 220 counties nationwide — flipped from Obama in 2012 to Trump in 2016. Why did these voters change their minds? These are men and women who are, in the main, still working, still attending church, still members of functioning families, but who often live in communities where neighbors, relatives, friends and children have been caught up in disordered lives. Schuylkill County, where I grew up in Pennsylvania, was one of these counties. And heroin overdoses were then unknown there. Not anymore. In June, Schuylkill County Coroner Dr. David J. Moylan III said the possibility of 60 drug-related deaths is something he thought would be a reality in the county. [In 2015], 26 people died in drug-related deaths. Twelve of those involved heroin and three were fentanyl related. County coroner data as of Friday show of those 54 [2016 deaths] so far, fentanyl was involved in 27 of them. I’ve made the argument before that opioid drug death and the lack of answer for it indicate the country is headed for very profound disruption and failure. The accumulating costs of throwing half the country to the dogs in the 40 year slump. Seven years ago, in front of a real applauding audience in Pasadena. Another evergreen theme. Seven years gone and again, something that could be a national creed. Dig the guitar hero and listen for the made-in-China blues harp. “Rich” + “tax” + “break”. The national tune that never gets old. Warren Buffett thinks the Republican health care bill has an alternative purpose: to help the already-wealthy make even more money. The famed investor and world’s second-richest person had some choice words about the legislation currently being debated by the Senate, suggesting it could be called the “Relief for the Rich Act” during an interview with PBS NewsHour Tuesday. My tunes, evergreen. Seriously. As good as Iggy & the Stooges, easy. I gave up fighting. I’m with the tenor of the country. Take away my Medicaid. I am undeserving. Remember, you can download the unplugged version for your gadget. Send it to a friend, even. Now, please start a campaign to raise money for a Mitchell electric/acoustic guitar — 149 dollars at Guitar Center. On a slightly more serious note: Can you believe this tuneage is fives years old and HAS ONLY BECOME MORE REAL? IT’S VIRTUALLY THE NATIONAL CREED. A reader points out a recent story in the Washington Post: Why my guitar gently weeps: The slow, secret death of the six-string electric. And why you should care. Written by Geoff Edgers, it’s a good piece that touches on some subjects and people I’ve written about over the years, with special focus on the loss of sales of the primary middle class instrument of my generation: the electric guitar. Today the electric guitar faces challenge from all sides. The most influential being the US economy just isn’t what it used to be. After 2007, it collapsed for a great part of the US middle class. And the electric guitar was and is an iconic MIDDLE class luxury buy. I get a copy of the Sweetwater Pro Gear catalog. It’s a perfect example of glut, Sweetwater not being the only guitar rock business, businesses all selling the same thing to the same limited number of people at a time when there’s not a lot of cash to go around. The people hurting in middle America, in the heartland, those who voted for the President, are the potential buyers of electric guitars and times just aren’t what they used to be. There’s pain out there and it filters over into all manner of businesses, not just the sales of electric guitars. Middle age (or older) wasteland, call it. (Which is to say things would probably not be so grim if the economy was better for everyone, not just people in the right professions on the coasts). Part of the Los Angeles Times’ new contemporary coverage of America is its glorification of conspicuous consumption. Weekly, features writers find the most annoying examples of Grotesquus Americanus. Then it proceeds to portray whatever herd of manipulators it has found as something swell. The point of it is to make you feel stupid or envious while marveling at the business acumen and immense good fortune of others. Today’s example were men who hoard late-Fifties/early Sixties Gibson Les Paul Standard guitars painted in sunburst finishes. Business in fantastically priced Les Pauls was apparently great. There was even a link, now dead, to Gruhn’s website whereupon you could see a picture of a Les Paul selling for 275,000 USD. And while this small part of the antiquities business may still be solid, the rest of the world of electric guitar has gone upside down. Paradoxically, it will not surprise readers that the expansion of sales of “cheaper guitars” has meant the offshoring to China and other Asian rim countries. Again, the mirroring of the US economy as a whole. For the Post, Gruhn says the current business is “unsustainable.” This is obvious. There’s no actual market to allow the survival of hundreds of luthiers or electronic tinkerers making an endless supply of custom fuzztones in the United States. Gruhn thinks its because there’s a lack of guitar heroes, as contrasted with days of yore. This is only maybe half right. Gibson dies by their premium prices, in direct competition with luthiers and another maker in exactly the same space, Paul Reed Smith. This is at a time when demand hollowed out the middle. There’s the low end and a high end, and the high end is the smaller of the two. The other side is boring old classic rock radio, now oldies stations although they’re not called that. Jimmy Page / The Rolling Stones/ Clapton / Slash / Jeff Beck /Pete Townshend / Heart / Journey / Van Halen still have their radio exposure. Keep in mind none of the glory days musicians can make records anyone will pay money for. Digital cratered everything but their back catalogs. No one wants a new Ted Nugent record but he can still summer tour and Cat Scratch Fever still gets played on radio. Stubbornly, though, that radio territory is strictly out of reach of any new artists playing rock and roll. Country music is one exception. Lots of classic rock and roll went to country and it’s not an accident a lot of guitar manufacturing, like Gibson, is in Nashville. Country music still features guitar heroes. One of them is a woman — Taylor Swift. On the other hand, Link Wray never got played. He died an expat in Denmark, I think. In Europe he had an audience. I play “Rumble”. People know that but it wasn’t on the radio during Zep or the Who’s heyday. Polydor even tied a release of “The Link Wray Rumble” to a blurb by Pete Townshend. The recommendations didn’t help. The record didn’t rise in the charts. “Rumble” wasn’t on the radio in 1974. Even more tiresomely, the internet and freetardism has atomized the market, again — glut — has become a problem with everything making it impossible to record and make money in the the old way of development. Couple it with the rupture of demand. The cash just isn’t there. And sitting in front of a smartphone or laptop isn’t fun when playing guitar. It’s work. Not the same as playing along to an old record player. Again — the Washington Post piece. 1. Rumble. A tribute. Note famous fight scene from They Live, wherein the thuds and cries are timed to the riffage. American swells are having a shared nervous breakdown. And the only thing they can think of to fight back against the national rebuke they just suffered is to invoke one of the Democratic Party’s most played out ritualistic memes. It begins with the invocation: “Those jobs aren’t coming back.” And from there one naturally proceeds to wisely waving the hands while lecturing lessers (and the choir which nods approvingly) on the need for more smarts, more school, more skills, or retraining camp as I like to call it. Wait until Trump tries to come through on one of his central promises: to bring back millions of high-paying manufacturing jobs to the U.S. There is no shortage of economic experts who say it’s a fantasy. [Investing] in training programs to ensure Americans are prepared to work in modern digital factories. The same prescription, ad nauseam, until it’s enraging. Which is much of the reason why Trump is president. What modern digital factories might these be? Is not steel-making still basically steel-making? And if one isn’t ready to work in the modern digital factories, there is retraining camp. Which has apparently been tried for years, the threadbare results of which can now be gleaned from the public record of decline. How many people are needed to blood when the local economy is el busto? How many when not? Check what such jobs pay. They don’t compared to what was lost. I covered this year’s ago in a blog piece on the stupid belief, held as holy grail, that everyone would retrain to be teeth scrapers, vision checkers and bed pan techs. But there’s no dislodging the belief among the haves that it’s just a matter of lack of skills and smarts in the unfortunate is just a matter of not getting the proper schooling, not a general collapse in the structure of the economy, a collapse caused by policy decisions. That is, no dislodging of the belief until the shoeshiner for the status quo finds he or she has been dismissed for lack of worth. Blast from the past, or, yes, I am right! Well, mass unemployment leads to political instability, as we’ve seen. Political instability is a serious threat to everyone’s security. As usual, Dean Baker has something to say about trade, manufacturing and how it pertains to our current dystopian situation. “You need not be a fan of Donald Trump to say that trade has had a big impact on manufacturing jobs …” he begins. Anyhow, this explosion in the trade deficit coincided with a sharp decline in manufacturing employment. There are remedies, he adds. One of his is lowering the value of the dollar. Baker has even more to say here on the 1,000 jobs saved at Carrier. Before wrapping it up, what’s the latest talent/character trait/quality America’s interpreters of the job market say citizens looking for work are lacking? Getting to work on time. Dressing nicely. Not being too ugly-looking, diseased or old. “People” skills. Dig deeply into the syntax and linguistics of the news and this is what soft skills means: Capability as a polite and well-dressed bootlick. The term “critical thinking” comes up a bit, but here? Have you been knocked out by the level of critical thinking exhibited in the USA in the last ten years or more? C’mon, who’s buying that? There’s a wideheld assumption in the establishment that outsourced manufacturing of household goods to China has produced something much cheaper but equivalent to what middle class Americans were used to in the early Seventies. Globalism good! You can buy more! It’s true but only to a point that overlooks a very noticeable downside. Yes, I can buy 10 disposable razors at the dollar store for 99 cents. But they are not as good as the disposable razors I used in college. In fact, I can always count on the first use of a new 10 cent Chinese razor to nick me. 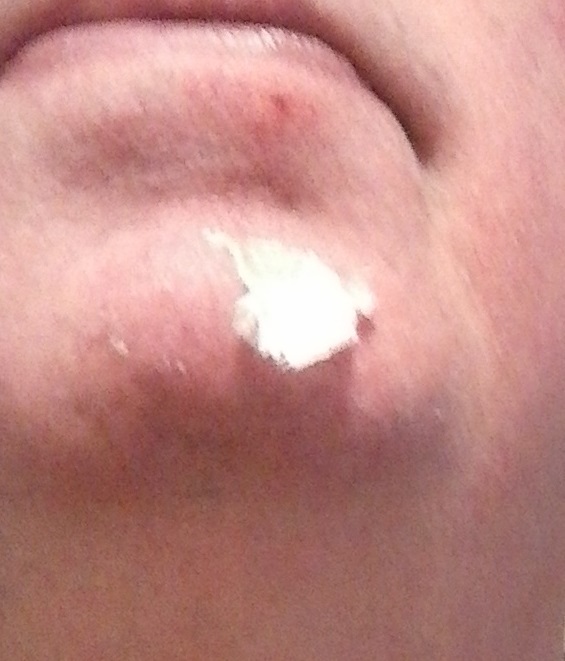 Nine times out of ten, it takes one shave before the razor doesn’t constitute a hazard. I’m not sure what the manufacturing trick/cheapnis is that guarantees it, but it’s real. The shoddiness of certain types of Chinese goods is apparent if you must buy them all the time. Socks from the dollar store last about two washes before they sprout holes. A 25 dollar pair of faux leather plastic-wedded-to- rubber men’s shoes lasted a month before cracking and becoming unwearable. This is our America, not likely to change, a place to be endured and coped with as it gets progressively and inexorably worse. Or outsourced. “The China Toilet Blues,” from Old White Coot. Harp by Blind Poison Castorseed.